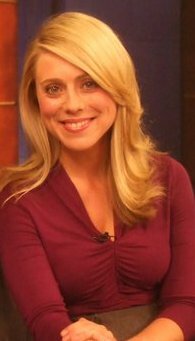 Elizabeth Wenger is a versatile broadcast journalist with more than 13 years experience in news, traffic, and weather reporting. As KPIX-TV's morning traffic anchor in San Francisco, she helps commuters get to work on time. She's also a team player who jumps in regularly to anchor the news, report, and keep viewers up to date with the latest weather forecasts. Elizabeth has been on the anchor desk and in the field for important news events. She co-anchored breaking news coverage when Nasa's space shuttle Endeavour made its historic flight over the San Francisco Bay Area in September 2012. She was also on the anchor desk for nearly 6 hours of extended coverage when a tsunami warning was issued for the West Coast in March 2011. She got a sneak peek of the new span of the San Francisco-Oakland Bay Bridge and contributed her report to a KPIX-TV live primetime special "A Super Night on the New Bay Bridge" following Superbowl XLVII. Before pursuing a career in broadcast journalism, Elizabeth was a bookworm. She has a B.A. from the University of California at Berkeley where she graduated with Phi Beta Kappa honors. When Elizabeth wasn't studying, she worked her way up to news director of KALX-FM, the Berkeley campus radio station and her passion for storytelling was born. She also holds a Master's degree in Journalism from Columbia University. Elizabeth's career has taken her all over the country, reporting from small towns to major television markets. Her first stop was at KTWO-TV in Casper, Wyoming where she anchored the weekend newscasts, reported, and did weather. From there she made a 100+ market jump to WCIA-TV in Champaign, Illinois. She was promoted to weekend anchor and reporter. Continuing her career climb, Elizabeth ended up in the South at WXII-TV in Winston-Salem/Greenboro, NC where she was chosen as the weekend anchor and weeknight reporter. A job at KPIX-TV in San Francisco, CA finally brought Elizabeth back home where her family still lives in the Bay Area. Elizabeth has an unhealthy obsession with getting A's even though she's no longer being graded. She loves yoga, tearjerker movies, sleeping in on weekends, inspirational people, and her 20 lb cat Walter.